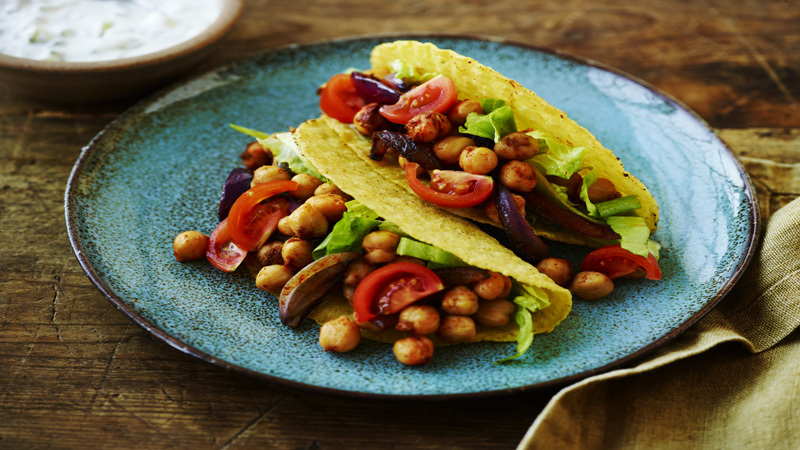 Spiced fried chickpeas and a cooling cucumber and herb yogurt are perfect partners for these quick and easy crunchy tacos! Heat the oil in a large non-stick frying pan over a medium heat. Add the onion and cook for 2-3 minutes until beginning to soften. Stir in the chickpeas and cook for 5-6 minutes, stirring occasionally, until starting to turn golden brown. Stir in the chilli powder, cumin and salt and remove from the heat. Mix together the ingredients for the tzatziki sauce in a medium bowl. 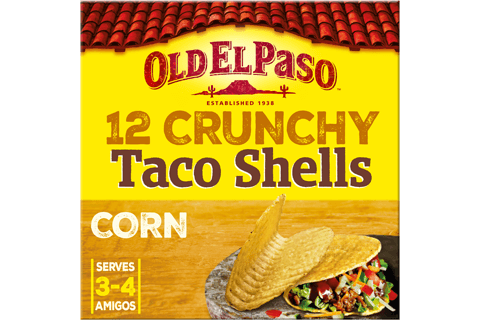 Warm the taco shells as directed on the packaging. Serve with lemon wedges and the rest of the sauce on the side. Divide the chick peas between the taco shells. Top each with the shredded lettuce, a spoonful of tzatziki and some tomatoes. Serve with lemon wedges and the rest of the tzatziki on the side. You can make the tzatziki a few hours in advance, just cover with cling film and chill in the fridge. Add a finely chopped green chilli to the chick peas for an extra fiery flavour.